Following the 2017 General Election we are pleased to have reformed the BB All Party Parliamentary Group at Westminster. 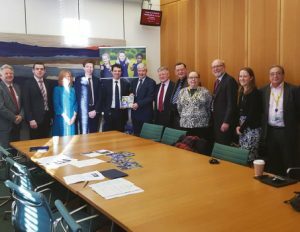 The group met on Tuesday 16th January with all the main parties represented. The Brigade Secretary up-dated members on the current work of the Brigade. Andrew Bowie MP for West Aberdeenshire and Kincardine and BB ex-member and Queen’s Man was elected as the new chairman. Please do encourage your own MP to try and support the work of the group.